I might not bring the intensity quite like Steve Ballmer famously did while chanting “Developers! Developers! Developers!” during the Microsoft 25 Anniversary Celebration in 2000, but that doesn’t mean I’m not super excited for great IoT videos for developers. 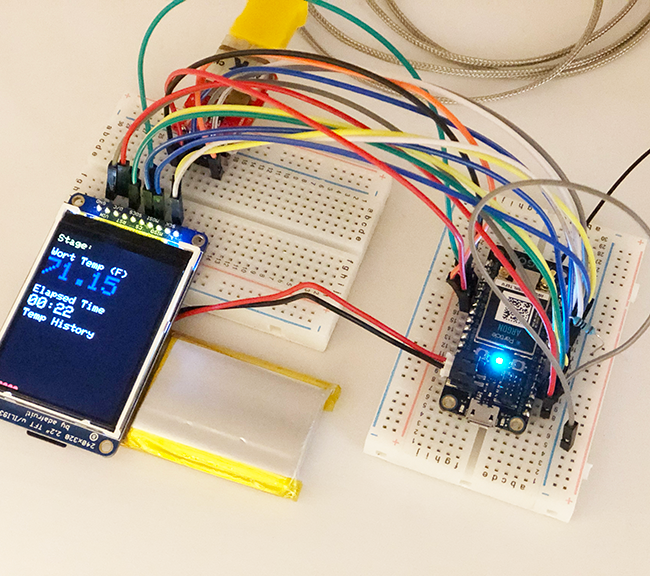 Whether you consume your videos at work or watch them with a big tub of popcorn from the comfort of your home, you can’t go wrong learning about new technical topics from instructive IoT videos. Here are three new Particle videos series that you’ll not want to miss. 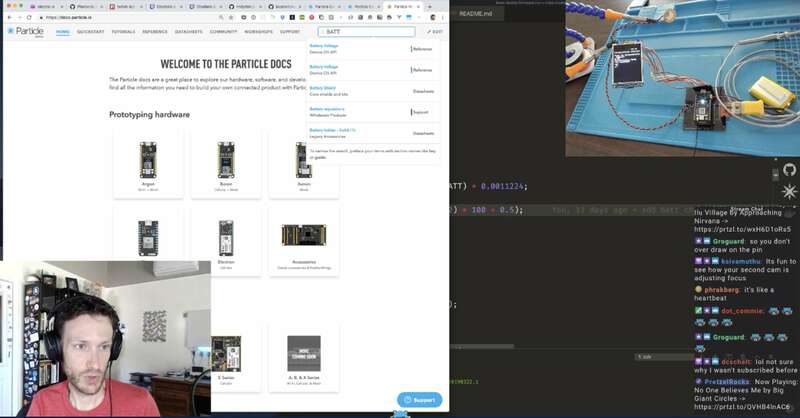 Over the past few months, Brandon Satrom our Developer Advocate has been busy putting together a series of videos covering the essentials to help you get the most out of your Particle products. Most of the videos in the series focus on Gen 3 hardware — that’s the Argon, Boron, and Xenon — however many of the non-mesh content is applicable to Gen 2 hardware like the Photon and Electron as well. In the latest Particle 101 video, Brandon tackles how you can use publish() and subscribe() to send messages between different devices on your local, mesh network. 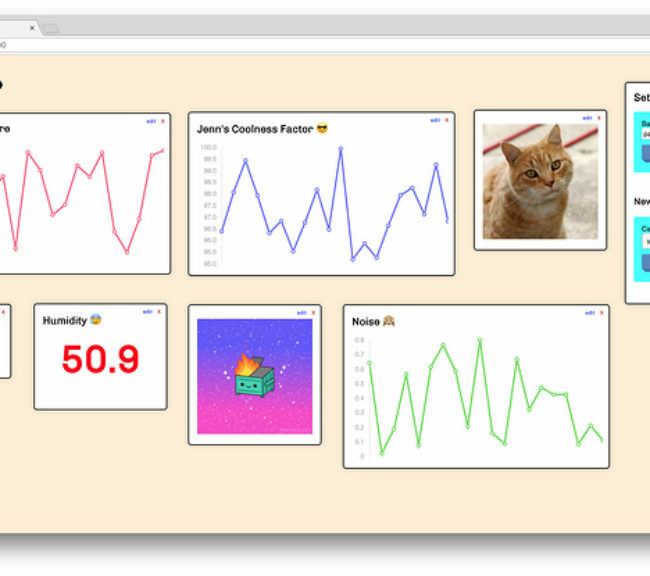 This video is one of seven (at the time of publication) Particle 101 videos to help you get started with IoT and Particle. Here’s the link to the full Particle 101 playlist. Equal parts Terry Gross and Steve Ballmer, Brandon’s newest video series focuses on getting to know the people powering Particle. Get ready for great conversations and tune in live for a chance to have your question answered. 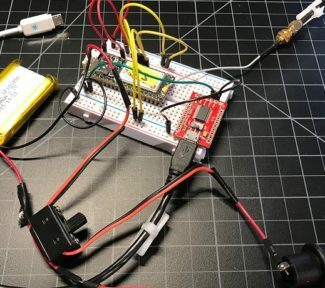 In the first episode of the series, Brandon sat down with Mohit Bhoite to talk circuits, rapid prototyping, and what it feels like to have designed every piece of Particle hardware ever released. Mohit’s interest span from low-level electrical engineering to gorgeous solder sculptures that should rightly be called art. A typical Twitch streaming setup from Brandon. Catch him weekly on Monday and Thursday. And if you’re still looking for more video content, Brandon has you covered. 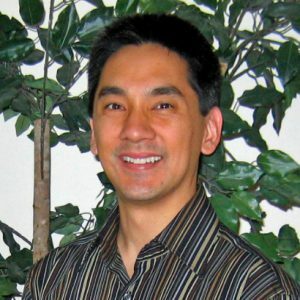 Each Monday and Thursday he livestreams on Twitch. While you never know exactly what Brandon will be working on, his livestream is a fantastic way to get clues on what cool new things are coming next. 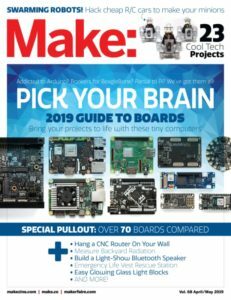 Most recently, Brandon upcycled an old Photon DIY brewing project to use an Argon and hacked inexpensive Drug Store remote controlled cars to use Particle Gen 3 hardware — you can see his full instructions in the annual Make: magazine board’s issue here. Here’s a quick link to the start of the brewing playlist and to the R/C car hacking. 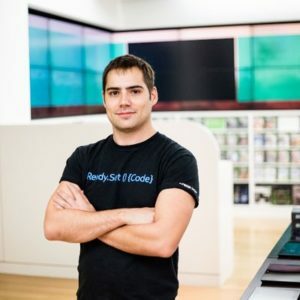 IoT Developers, IoT Developers, IoT Developers! Whew, it does feel good! Perhaps Ballmer was onto something here. Regardless of your intensity level, be sure to watch the videos and let us know what you think. Comments, suggestions, and constructive criticism are always welcome. Oh, and don’t miss the next Particle livestream. Finally, be sure to share what you’re working on in the community forum or on Twitter. I can’t wait to see what you’re making.